Firefox is famous for its addons, and for good reason: they can make your browser do just about anything. But which addons are the most useful? 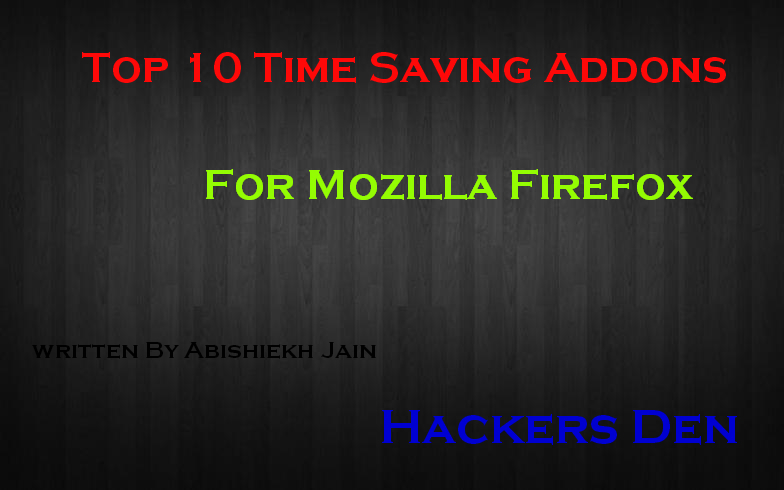 Here are the top 10 time saving addons we think are best, what they do, and where you can find them. This add-on helps you to setup your most commonly used commands synced with mouse gestures. With the extension, the user can execute their common commands from plain gestures like scroll wheel navigation, rocker navigation, mouse gestures and page scrolling. The add-on is unbelievably customizable and can also customise the gestures in detail. Like us, if your life rolls around Gmail, this is the perfect add-On for you. The Gmail Manager helps to improve your efficiency in Gmail. This add-on works as a notifier for multiple accounts, which can be used to view the account details including the unread messages, spam messages, labels of new mail, draft emails, used space and new mail snippets. You can also manage your Gmail from the toolbar or status bar. The add-on has a support for Flock 2.5 and Songbird 1.2. The SearchStatus 1.33 is a brilliant add-on for Mozilla by Craig Raw, which helps best if you are an SEO freak. The add-on displays the rankings from different sources like Google PageRank, AlexaRank and mozRank directly by the right click in your browser. And if that doesn’t astonish you, here’s more. It also displays the keyword density analyser, keyword / no follow highlighting, related links and other SEO tools. The add-on works with both Firefox 3.6 and SeaMonkey 2.0 and has a better and compatible private mode management. The Video DownloadHelper 4.8 by MIG allows you to download and convert your web videos from sites like YouTube, extract the web content to capture image and video files from sites like Dailymotion, Dreamhost iFilm and others. The icon of this add-on starts showing animation effects when it detects any image or video file and lets you download it. You can either opt to download one by one or all of the links to images or videos by simply clicking on the item. Dropico Media Manager add-on created by the Dropico media inserts a drag-&-drop bar on the side of your browser, where you can directly drag and drop your photos directly from the social networking sites or from your e-mail account. The tool also allows you to upload, share, manage and edit the photos online. The WiseStamp Email signature which is created by the Wise Stamp team helps in creating a web-wide signature, which can be used in Gmail, Yahoo! Mail, Hotmail etc. One can personally design signatures, automatically insert them, add a logo to their signature by using the add-on’s easy setup and configuration interface. The plug-in can be linked to your social networks and Instant Messaging. It provides Full Ltr & Rtl language support and supports all the web malfunctions. So many of us already know how to print the web pages into a PDF, but what if it becomes a process of just one click. The Web2PDF 1.8 is a tool provides a button to you in your browsers toolbar. This directly converts your web page into a PDF in one click. Created by Tomas Rutkauskas, this plugin uses Web2PDF online service. Though the Add-on won’t work on HTML files and protected web pages where login is necessary like you emails. 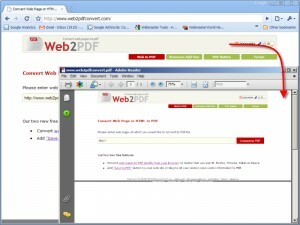 Web2PDF converter is licenced under Mozilla Public Licence, version 1.1 and works with Firefox 1.5 – 3.6. A super helpful plugin which helps you grab images and screenshots in your desired size and edit them directly in Pixlr. The Pixlr Grabber 2.0.4 is created by Ola Sevandersson, which makes it possible to right click any image or background in the web and edit, save or share your final grabs. The toolbar created by the Cooliris Team gives you a preview of the links and the images when you hover through the links and images without leaving the current tab. It also helps to send instant links to your family or friends and bookmark the items to a column at the right with ‘Stacks’ feature. It transforms your browser in a 3D wall which will help you browse the photos and videos in a faster way. The last one is almost a wonder! If you are crazy about Facebook, Twitter and Linkedin, you can accumulate it all in your Hootsuite. Already aware of this? The add-on that we are sharing is actually intended to share desired links on Hootsuite directly from the browser! All you need to do is hit the Hootlet button which stands next to your URL. Your URL will be shortened automatically and the text will be grabbed from the site. Choose your channels and way to go! Here are the addons we think are best, what they do, and where you can find them.